Did You Know! Our Free & Clear diapers are now made without whitening of any kind! Which means Free & Clear Diapers are now manufactured using LESS Water, LESS Energy and FEWER Trees than any diaper we’ve made before! It’s a change that makes our diapers kinder to the environment while giving you the same great diaper you’ve always loved. Free & Clear Diapers. THE ONLY DISPOSABLE DIAPER MADE WITH NO WHITENING .We let our diaper’s absorbent fiber core go “natural” to give you everything you want in a baby diaper – and nothing you don’t! 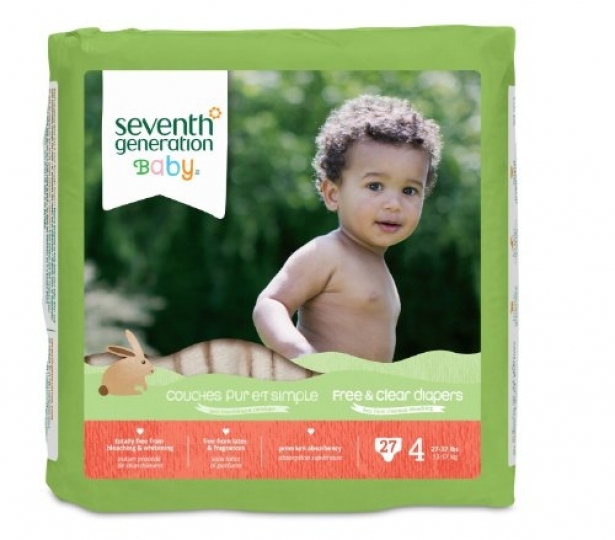 Exactly the same soft and comfortable fit, baby-pleasing performance and super absorbency as our previous Free & Clear diaper with absolutely no chlorine processing or whitening. In fact, it’s the only disposable diaper available today with no whitening!